Below (for download) is an audio called The Strangest Secret. This audio has been sold over a million times….on record! Yes, it’s an old audio but the information given on it is tremendously powerful and thousands of people have attributed listening to this audio with turning their lives around and helping them make their fortunes in the world. The speaker on this audio is Earl Nightingale. As a Depression-era child, Earl Nightingale was hungry for knowledge. From the time he was a young boy, he would frequent the Long Beach Public Library in California, searching for the answer to the question, “How can a person, starting from scratch, who has no particular advantage in the world, reach the goals that he feels are important to him, and by so doing, make a major contribution to others?” His desire to find an answer, coupled with his natural curiosity about the world and its workings spurred him to become one of the world’s foremost experts on success and what makes people successful. Earl Nightingale’s early career began when, as a member of the Marine Corps, he volunteered to work at a local radio station as an announcer. The Marines also gave him a chance to travel, although he only got as far as Hawaii when the Japanese attacked Pearl Harbor in 1941. Earl managed to be one of the few survivors aboard the battleship Arizona. After five more years in the service, Earl and his wife moved first to Phoenix then Chicago to build what was to be a very fruitful career in network radio. As the host of his own daily commentary program on WGN, Earl Nightingale arranged a deal that also gave him a commission on his own advertising sales. By 1957, he was so successful; he decided to retire at the age of 35. In the meantime, Earl had bought his own insurance company and had spent many hours motivating its sales force to greater accomplishments. When he decided to go on vacation for an extended period of time, his sales manager begged him to put his inspirational words on record. The result later became the recording entitled The Strangest Secret, the first spoken word message to win a Gold Record by selling over a million copies. In The Strangest Secret, Earl had found an answer to the question that had inspired him as a youth and, in turn, found a way to leave a lasting legacy for others About this time, Earl met a successful businessman by the name of Lloyd Conant and together they began an “electronic publishing” company which eventually grew to become a multi-million dollar giant in the self-improvement field. They also developed a syndicated, 5-minute daily radio program, Our Changing World, which became the longest-running, most widely syndicated show in radio. I want you to download this audio and listen to it. But don’t do the action plan he gives you at the end of the audio. I will get you to do that in lesson 10. 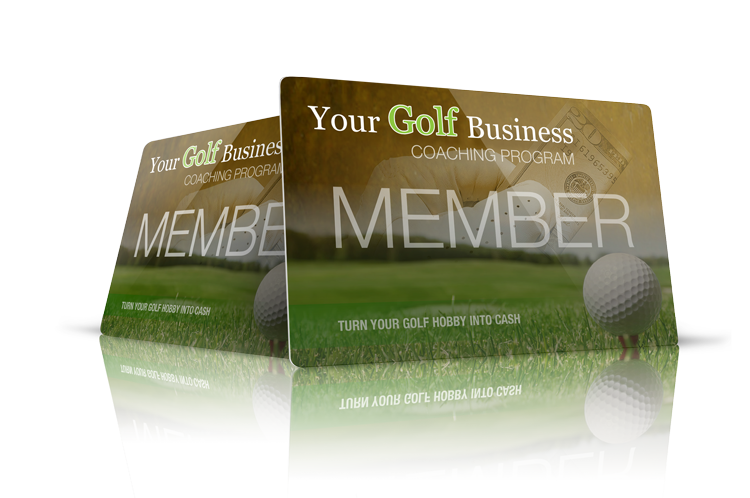 For now I just want you to listen to this audio (over and over again if you want) and start to speak, think and visualize your Internet golf business how you want it to look. This is a huge missing link in most Internet business coaching I believe, and I’m going to try my best to fill that gap for you. So start by listening to this audio. Below you will find download links for this bonus lesson. Click on the link with your RIGHT mouse button and you will see a menu open up. In Firefox/Chrome you choose “Save Link As…” and download the file to your desktop.